The Basil Hotel is located in the center of the city. The Basil Hotel is a symbol of excellence in the hospitality industry that strives to serve the guests with the best quality services and facilities, at a very reasonable rate. The hotel aims to deliver its discerning clienteles complete satisfaction and serenity to recreate their mind and body. 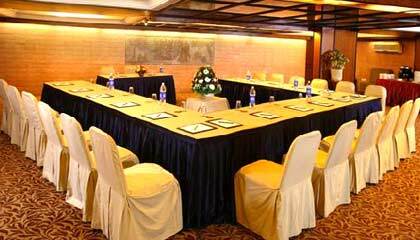 Located at the heart of the business district of Bangalore, the hotel is ideally designed for the corporate visitors. Structured with a contemporary design and aesthetic elegance, the hotel blends its appealing exterior with delicate interiors. It boasts spacious rooms & suites, multi-cuisine restaurant and excellent banqueting and business amenities in a convivial environment. 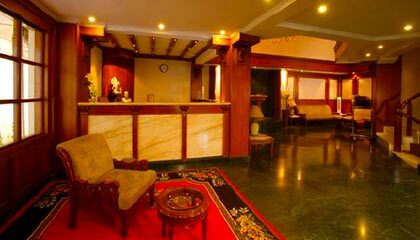 Maintaining high standards of comforts and services, The Basil Hotel provides the guests a perfect place to rejuvenate and refresh during their stay in Bangalore. 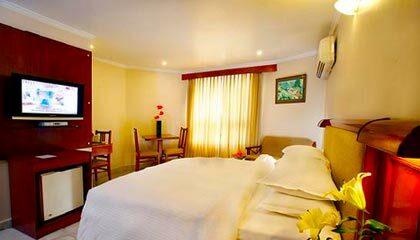 The hotel consists of 35 exclusively decorated rooms, classified into Studio Rooms, Standard Rooms and Executive Rooms. Each room is outfitted with modern amenities required for a comfy stay. The Herb: A restaurant serving tempting Indian, Tandoor & Chinese food.